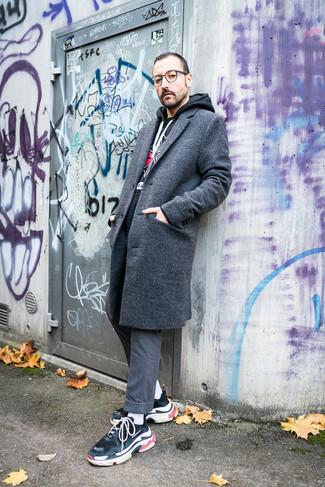 If you're a fan of functionality dressing when it comes to fashion, you'll love this killer combination of a camel overcoat and DSQUARED2 maple leaf socks. Got bored with this getup? Enter black leather derby shoes to spice things up. 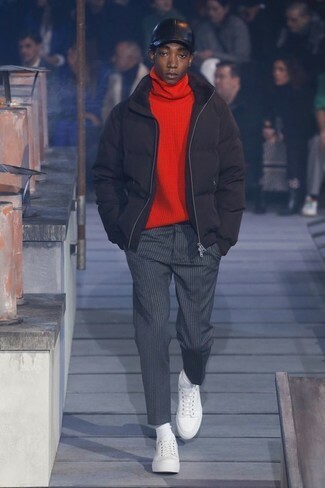 If you're a fan of functionality dressing when it comes to fashion, you'll love this easy pairing of a black puffer jacket and DSQUARED2 maple leaf socks. Grab a pair of white leather low top sneakers to show your sartorial savvy. 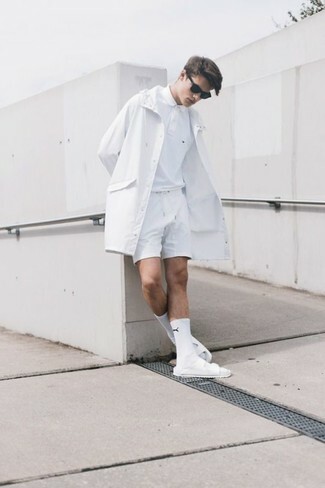 If you're a fan of relaxed dressing when it comes to fashion, you'll love this on-trend pairing of a white trenchcoat and DSQUARED2 maple leaf socks. Opt for a pair of white leather sandals to loosen things up. Try teaming a grey overcoat with DSQUARED2 maple leaf socks from farfetch.com for a laid-back yet fashion-forward outfit. Make black athletic shoes your footwear choice to make the getup more current. Wear a black bomber jacket with white socks to be both knockout and relaxed. Bring a touch of sophistication to your look with white leather high top sneakers. 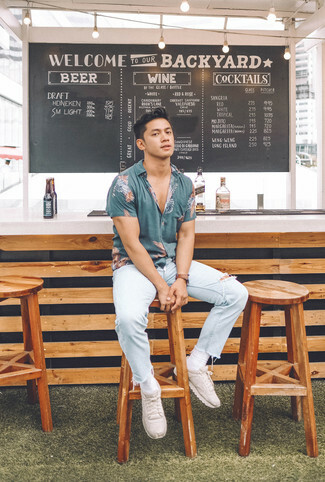 If you're a fan of practicality dressing when it comes to fashion, you'll love this stylish pairing of a blue print short sleeve shirt and DSQUARED2 maple leaf socks. Sporting a pair of beige athletic shoes is an easy way to add extra flair to your look. 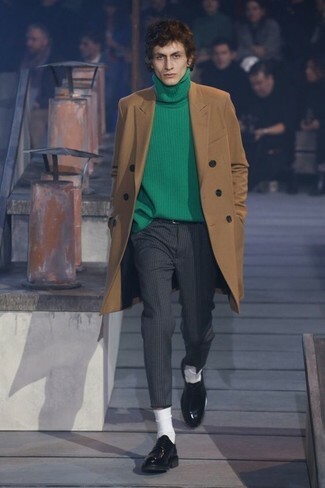 If you're all about practicality dressing when it comes to your personal style, you'll love this simple pairing of a green overcoat and DSQUARED2 maple leaf socks. For something more on the daring side to complete this getup, throw in a pair of white athletic shoes. 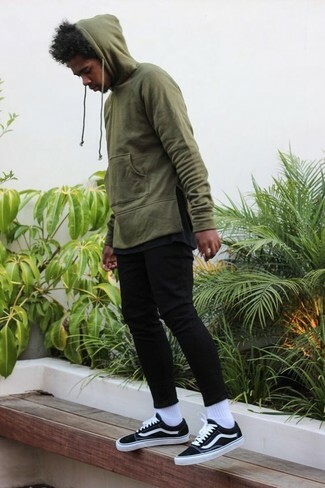 If you prefer functionality dressing when it comes to your personal style, you'll love this stylish combination of an olive hoodie and white socks. 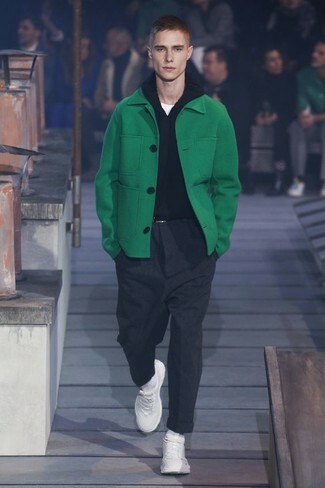 Lift up this look with black low top sneakers. 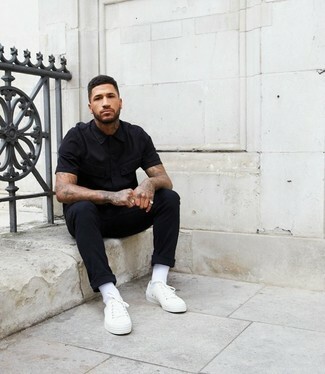 We all seek comfort when it comes to dressing up, and this combination of a black short sleeve shirt and DSQUARED2 maple leaf socks from farfetch.com is a practical illustration of that. Kick up the cool of your getup by finishing off with white canvas low top sneakers.